An odd little film that was both an independent art-house thriller and a murder/horror mystery. However, Writer/Director Olivier Assayas eschewed Hollywood conventions and in the end, the film will leave you with questions as it lingers in your mind. But one thing for sure, this was a one-woman showcase for Kristen Stewart who although has not reached the heights of Isabelle Huppert or Assayas' ex-wife Maggie Cheung, but has now surely shown that she is one of the more underrated actresses of her generation. 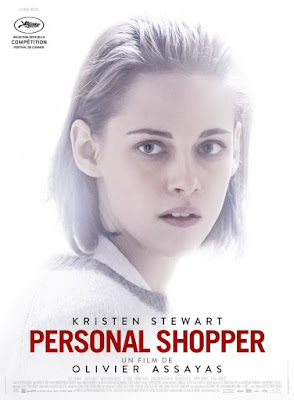 Personal Shopper was essentially a simple story about grief and self-identity but Assayas had wrapped it up in a shroud of supernatural mystery and that oddly worked. He used the exploration of death and afterlife, and through Stewarts' nuanced acting, to examine the complex emotions of grief and how those emotions can affect one's rationality and action. A silly, ridiculous, check-your-brain-at-the-door, but yet highly efficient sci-fi/action/thriller. There was absolutely no intelligence nor logic in the story and every plot-point was telegraphed and derivative, but yet director Daniel Espinosa has managed to pull off an excitingly, brisk thriller. There is no doubt that this film has many moments, in terms of tension, thrills, scares and gore, and truly, as long as you can accept (and forgive) the eye-rolling plot and the ghost-walking actors, Life was a fun 103 minutes. Espinosa started the film off with so much potential. The opening action sequence emulated Alfonso Cuaron's Gravitywith its well- choreographed one-track shot. And it was done really well. Giving us both a sense of dread, uncertainty and claustrophobia. Throughout the film, Espinosa and his Oscar-nominated Director of Photography Seamus McGarvey managed to maintain that scathing atmosphere which really helped to sell the thrills. 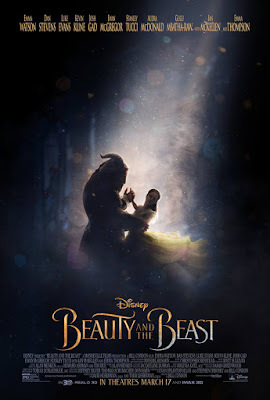 Beauty and the Beast was a fun, nostalgic, live-action retelling of the beloved, classic animation but with 45 minutes more padding that added little to the depth of an already abbreviated fairy tale. Bill Condon’s remake was literally almost a play-by-play re-enactment and that led to the film being uninspiring and tired and – to quote itself – missing a certain je ne sais quois; the magic and joie de vivre of the original was largely missing. It also definitely did not help that Emma Watson, though physically well-cast as Belle, was otherwise horribly miscast and her lack of acting chops grossly magnified here, and the Beast’s mo-cap/CGI was terrifyingly plastic/wooden. Together, they lacked chemistry and could not sell the tale as old as time. An unabashedly popcorn movie that was high on both entertainment and ridiculous jocularity. 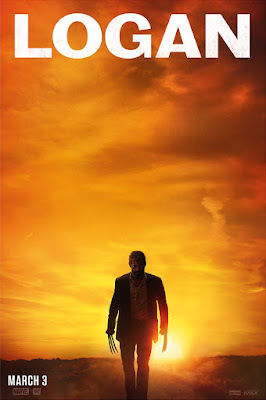 Decent acting, great scenery-chewing, exciting CGI action and a story line that was believable as long as you can check your sensibility and all reality at the door. 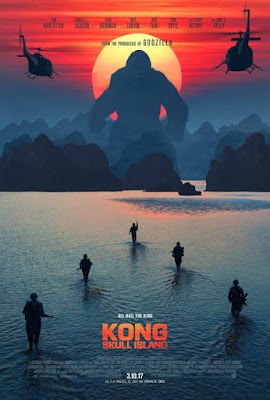 More Kong here than in the travesty that was Godzillaand at least Captain Marvel (Brie Larson), Loki (Tom Hiddleston) and Nick Fury (Samuel L Jackson) were more believable than Quicksilver (Aaron Taylor-Johnson) and Scarlet Witch (Elizabeth Olsen). Director Jordan Vogt-Roberts was quick to get into the premise and action, which was really what the target audience really wants in this show. Although the prologue had so much more potential than the actual narrative itself. The plot moves steadily along and the eventual survivors are broadly characterised and introduced, although it did make for good fun to guess who is going to die next (good job on making some deaths emotionally resonant).